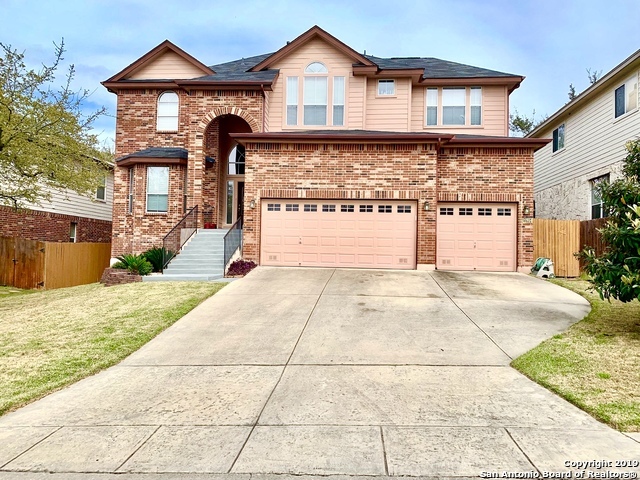 All REMINGTON HEIGHTS homes currently listed for sale in San Antonio as of 04/25/2019 are shown below. You can change the search criteria at any time by pressing the 'Change Search' button below. "Gorgeous home near grocery HEB, CVS,Subway & exemplary NEISD schools, some upgrades include; a gourmet kitchen with granite countertops,nice backsplash, modern cabinets with new samsung appliances, light fixtures, laminated floors & painted walls throughout the house, bedroom with renovated bathroom downstairs, sunroom & deck, newly improved staircase, spacious master suite with marble-floored bathroom/ 2 large walk-in closets, cinema style theater room. Additionally, new roof & water heate"
"Fiesta!Start Fresh this Spring in this Ambassador floorplan -- perfect for entertaining. Serve your guests in the dining room from the Butler's Pantry, gather in front of the cozy fireplace, or retreat outdoors to the covered patio. Enjoy Movie night in the Game Room or Escape to the Master Suite and take in the morning light on the balcony. TWO Walk In Closets in Master! Downstairs Bedroom can be an office with custom Built in Shelves and Elfa Closet System. 2015 Roof, Updated Hardware, Fresh"
"Plenty of space in this 5 bedroom 3 bath stone home. Needs work! 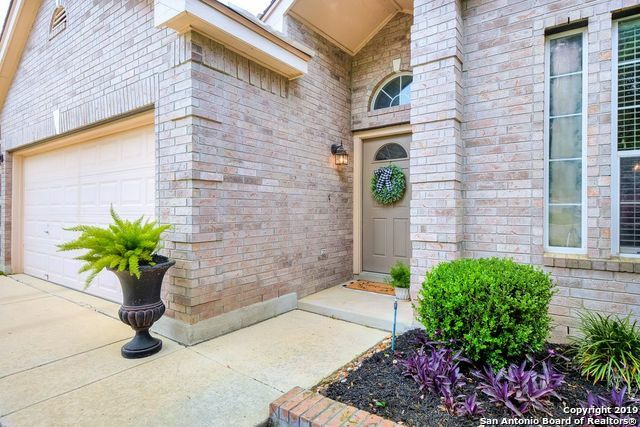 Home has potential w/ spindled stairs and spacious formal areas as you enter. There are lovely eyebrow arches & windows. Huge island kitchen with plenty of cabinets and a home work station. Large family room with stone fireplace with hearth and mantle. Spacious master bedroom with a big master bath and two big walk-in closets. Utility room upstairs. Large covered patio In a private backyard." "Rare Find. This precious, recently renovated 3/2 one-story in Stone Oak is a must see! A chef's island kitchen opens to breakfast area & family room w/fireplace. Kitchen offer custom cabinets, granite counters and gas cooking. Formal living and dining room. Spacious master suite has spa bath w/separate tub and shower. Bedroom 2 & 3 have access to bath #2. Enjoy outdoor entertaining on a greenbelt lot. Extras include replaced roof 2018, sprinkler syst. & water softener. Much more!!"